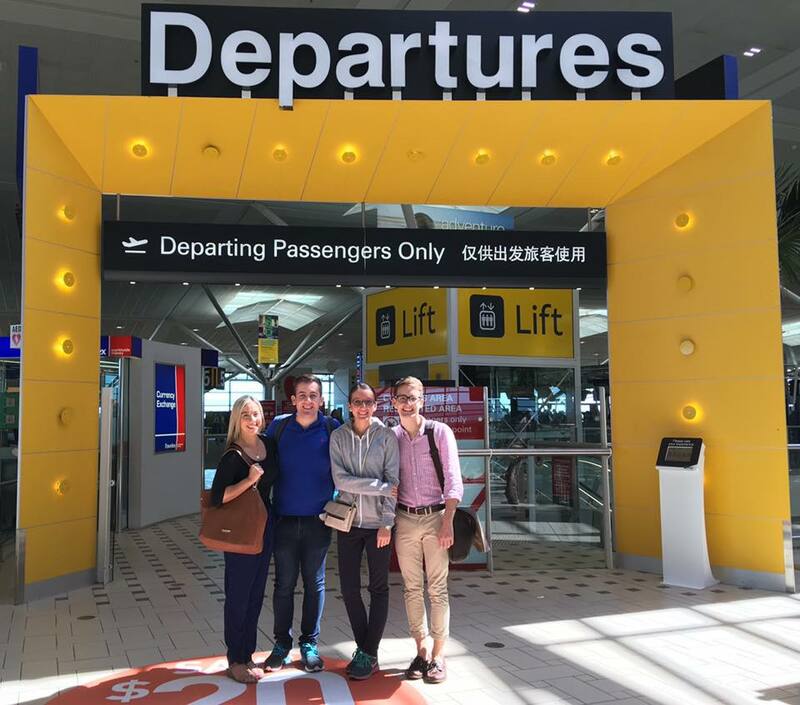 On Sunday August 28th, myself and three other QUT business students, Tom Craddock, Nick Di Savia and Marija Grubor, set off for Asia’s premier business case competition hosted at the National University of Singapore (NUS). The NUS case competition brings together students from 16 of the best business schools globally to solve challenging business problems under limited time constraints. 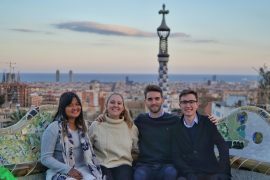 Along with our advisor, Adelle Bish, the team were ready for a week of surprises, challenges and lasting memories…we sure weren’t disappointed. Upon arrival, our NUS buddy accompanied us to our accommodation before taking us to dinner to show-off Singapore’s abundance of cheap food halls. As some of our team members were relatively unfamiliar with Asian food, the assistance of our buddy gave us the chance to broaden our culinary horizons… a must-do in Asia! With official case-cracking not beginning until Wednesday, the next few days were filled with social activities to mix and mingle with the other competitors and the organising committee, beginning with the welcome dinner at Loof. 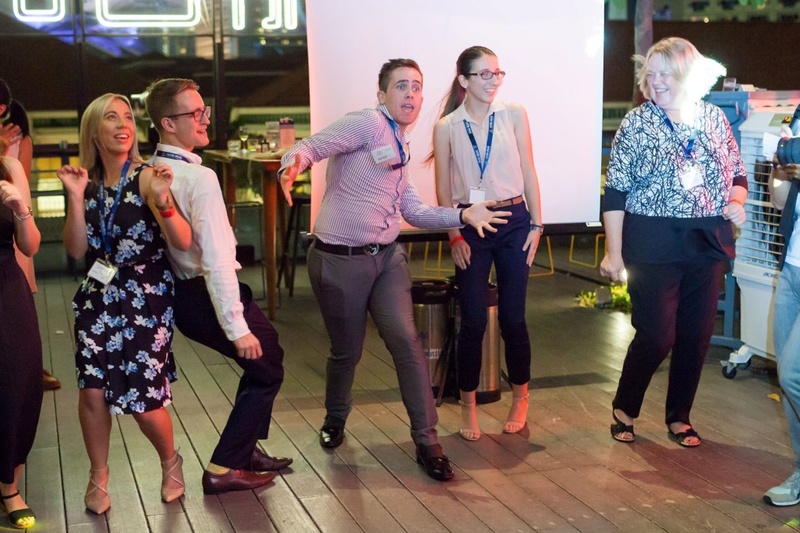 An open and airy rooftop bar, Loof was the perfect location for the initial ice-breaker activities and many hours of dancing where QUT claimed the unofficial ‘Best Male Dancers’ title. With another day to explore, the teams split-up and wandered the streets of Singapore indulging in the food and fantastic culture, including a visit to Singapore’s stunning Gardens by the Bay. Finally it was time to get down to business with the long-awaited competition briefing that evening. 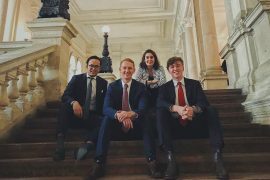 Known for its interesting competition formats, this year’s NUS competition allocated students 31 hours to solve two cases concurrently with the top 4 teams overall progressing to the finals. Additionally, the format threw students another curveball regarding the presentation style. Case A was a 25 minute presentation with 20 minutes of interrupted question time from the judges. 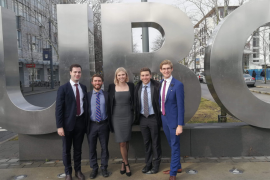 The second presentation was 15 minutes of uninterrupted presentation and 15 minutes of questions, five of which were asked by another competing team and contributed to that team’s overall score. Finally, the scores would not be released throughout the competition, meaning teams would only realise they were finalists when called upon to present at the finals. These rules had to factor into the team’s approach to crafting and presenting our solutions. The two cases were very distinct and posed interesting challenges. Case A related to an iconic Singaporean nightclub called Zouk. Zouk was consistently ranked within the Top 10 clubs in the world and had developed into a highly diversified brand, with expansions of Zouk’s brand into festivals, cruise ships as well as into the Malaysian market. The case asked the teams to tackle two key questions. First, how could the company retain their strong brand and customer-base with the impending move of their Singaporean club to a new location? And second, how could Zouk continue to grow and expand? As one of the more fun and creative cases the team have confronted, we focussed our strategy on retaining the exclusivity and prestige of Zouk’s brand through an exotic launch party, cocktail pop-up concepts as well as marketing tactics. We supported this with an expansion of Zouk’s festival concept throughout Asia and the opening a new nightclub in Las Vegas. The judges were intrigued and complimentary of this approach, ranking us second in our room, and sixth overall out of the 16 teams. The second case was the main sponsor company, United Overseas Bank (UOB), and related to their newly launched mobile app for banking, Mighty App. While teams were given a much narrower focus (the Mighty App), the key task was not as clearly defined, with many teams proposing varying strategies. Given Singapore is predominantly a cash-based society, Mighty App faced many supply-side and demand-side challenges, and this is how QUT structured their strategy. Titled Bolster and Grow, our strategy focussed on enhancing the application’s banking and lifestyle components, marketing the app as consumers’ ‘Complete Lifestyle Partner’ through a virtual reality campaign, and partnering with the government to accelerate the supply-side’s shift to digital payment technologies. Despite a great deal of questioning from the judges, the feedback after the presentation was positive and the judges ranked us first in our room, as well as first overall out of the 16 teams. QUT’s combined scores for case A and case B ranked us third overall and we progressed into the finals. Being called upon to present first, QUT gave another confident presentation of case B to a panel of judges comprising company executives from UOB, industry professionals and academics. Confronting strong questioning from the judges, we had to heavily defend our strategy and the value proposition we proposed. 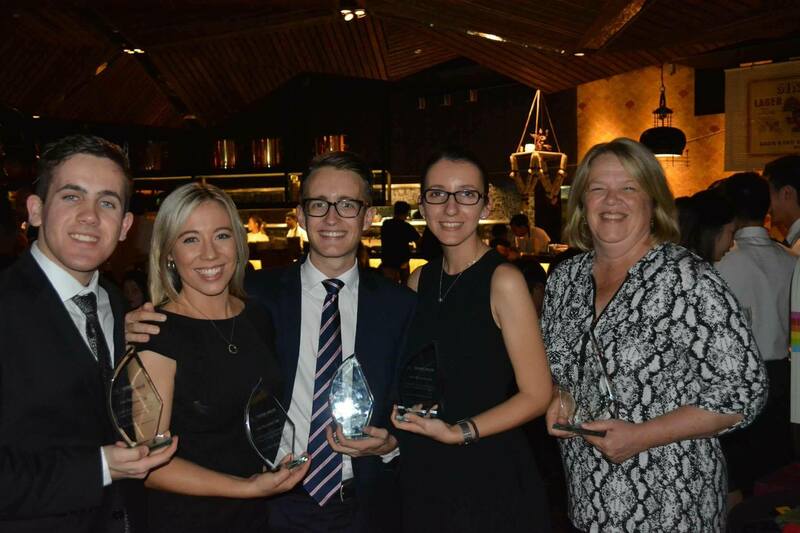 Ultimately, the judges awarded QUT third place amongst 16 of the best business schools globally. First place went to Thammasat University from Thailand and second place to the University of Southern California. 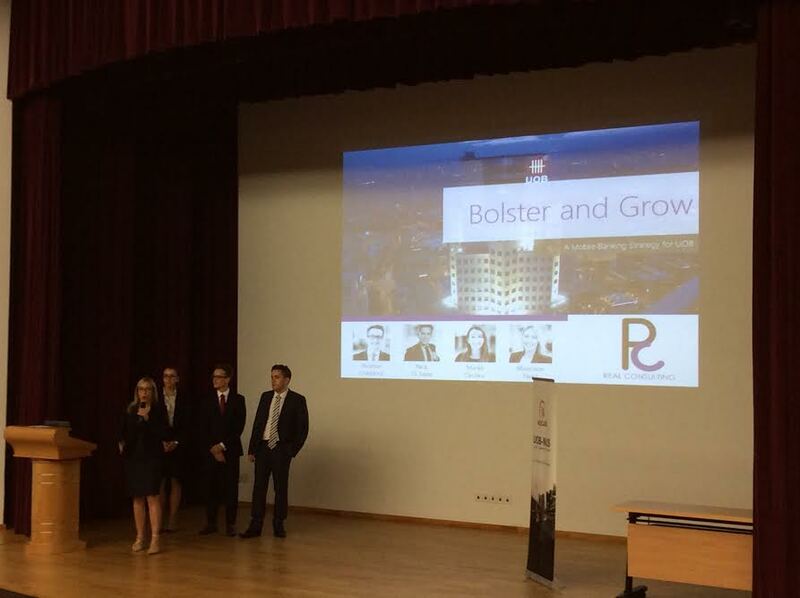 UOB-NUS 2016 was another well-organised, professional and enjoyable iteration of the competition that provided us four business students with the opportunity to apply our business skills to real world companies in international environments, while making global connections. 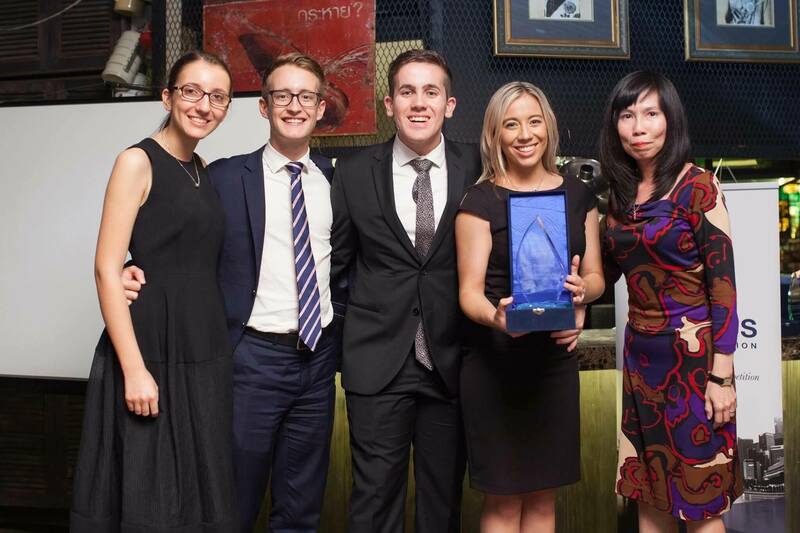 On behalf of the team, I would like to thank QUT for their continued support of the International Case Competition team as we endeavour to keep representing QUT strongly on the global stage.